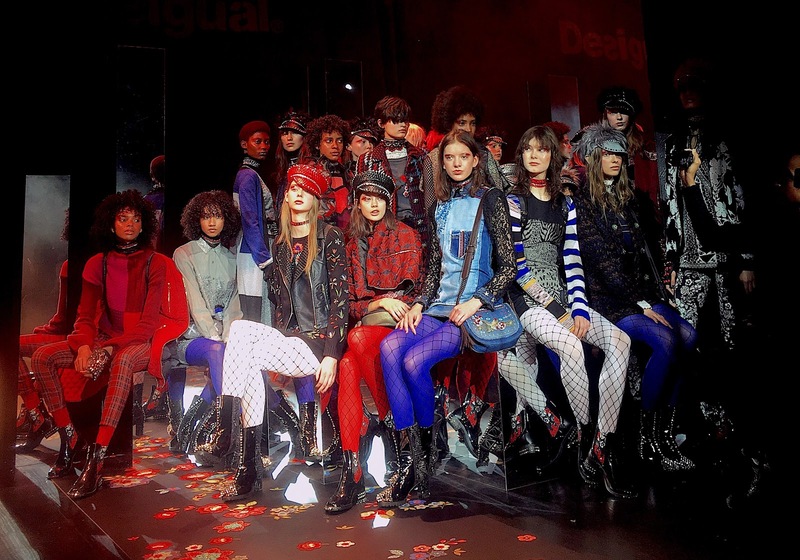 Spanish fashion house Desigual celebrates female diversity with a creative edge this NYFW. The Fall/Winter 2017 Desigual collection was inspired by the female uprisings of the 60’s, 70’s and 80’s – reinterpreted for the 21st century woman of today. A countercultural mix of West Coast love-ins, European New Wave and East Coast Voguing Balls punctuated by the signature lightheartedness and playfulness that defines the Desigual brand. It was a fun and vibrant scene as always...the perfect start to NYFW for Couture Caddy!